The word “myeoneuri,” which means daughter-in-law in Korean, denotes much more than just a legal familiar relationship. It is a word loaded with layers of meaning, reflecting the position that a daughter-in-law occupies in the patriarchal Korean society. In recent years, entertainment contents discussing daughters-in-law have been a hit, such as documentary film “Myeoneuri: My Son’s Crazy Wife” and webtoon “Myeoneuragi.” Both works explore the reality of marriage, portraying what it is like to be a daughter-in-law in Korea. Korea’s major network MBC is jumping on the bandwagon with a documentary reality show titled “Woman in Wonderland.” The show features three daughters-in-law in different situations -- one is newly married, another is pregnant and the other runs a restaurant with her parents-in-law. The show, produced by Studio Takeone, won a chance to air its program on MBC in a competition held last year in which 138 works were submitted. 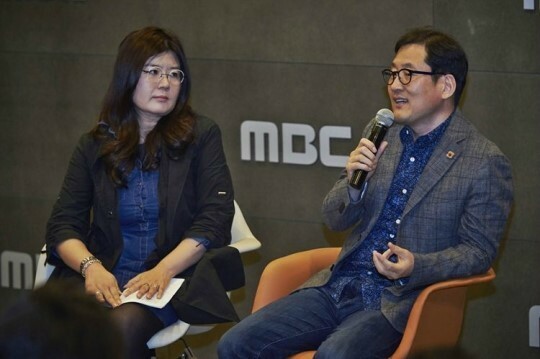 MBC selected the show, with the view that daughters-in-law are at the forefront of Korea’s societal problems, such as gender discrimination and excessive emphasis on hierarchy. Producer Park Ji-ah was inspired by the web cartoon series “Myeoneuragi.” One of her acquaintances, a 26-year-old single woman recommend the cartoon to her. At the time, Park wondered why the person would be interested in the cartoon, as she was single. The producer hopes that viewers‘ fantasies about marriage can be shattered. In the first episode of the show, the daughters-in-law are at the in-laws’ houses during the Lunar New Year holidays. It is widely expected of couples to visit men’s houses first during the holidays in Korea. 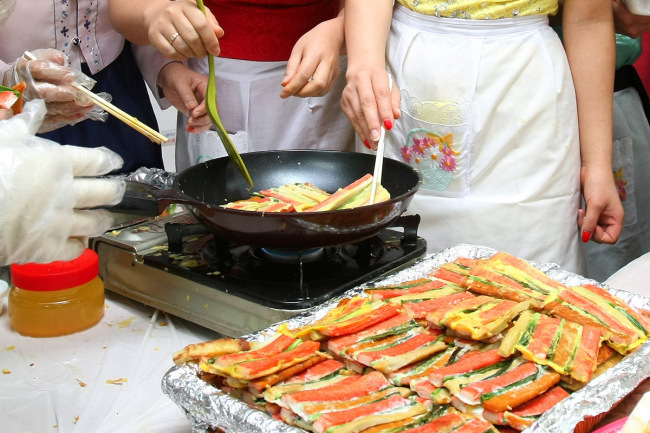 The daughters-in-law find themselves pressured to take care of family members, cooking and preparing meals and snacks for them. A contrasting scene is pictured, where all the men sit in front of the TV. While there have been some TV shows that describe conflicts between daughters-in-law and mothers-in-law, the production team argued that “Woman in Wonderland” sets itself apart from others by shedding light on a social problem. “Many of the shows focused on character confrontations between two women. But this problem is actually a social one, problem of an uneven playing field,” producer Lee Young-baek, who was in charge of the production competition, said. As the show is a documentary reality show, it doesn’t offer solutions or advice, but rather jus watches the families. Producer Park stressed, careful observation is needed and sometimes can be helpful. “A spotlight has to be given to daughters-in-law, who have been neglected. It’s my job as a producer to shine light on hidden aspects of life,” Park said. Three episodes of “Woman in Wonderland” are to air Thursdays at 8:55 p.m. starting this week.